Best recognized as the platinum blonde mom on the early 1990s series, THE WONDER YEARS, Alley Mills has since become a staple of television history. With a prestigious education — a B.A. in drama and art history from Yale University and an M.A. in drama from the London Academy of Music and Art — Mills has created an expansive résumé that easily flexes the fine line between comedy and drama. Mills took on the role of THE BOLD AND THE BEAUTIFUL’s Pam Douglas, Stephanie’s estranged sister, in December 2006. With a vengeful eye toward Donna as Pam secretly vies for Eric’s attention, Mills expertly showcases her ability to balance mental instability and dramatic intrigue. Didn't marry until she was 41 years old. Was included in the first class of women admitted to Yale University in 1969. Her parents are Don Mills, a TV executive, and Joan (Paterson) Kerr, former American Heritage magazine editor. He died in 2003 and she died in 1996. Appears on the LA smaller stage often co-starring with her husband in such plays as Candida, There's One in Every Marriage and Hogan's Goat all with the Pacific Resident Theatre in LA. 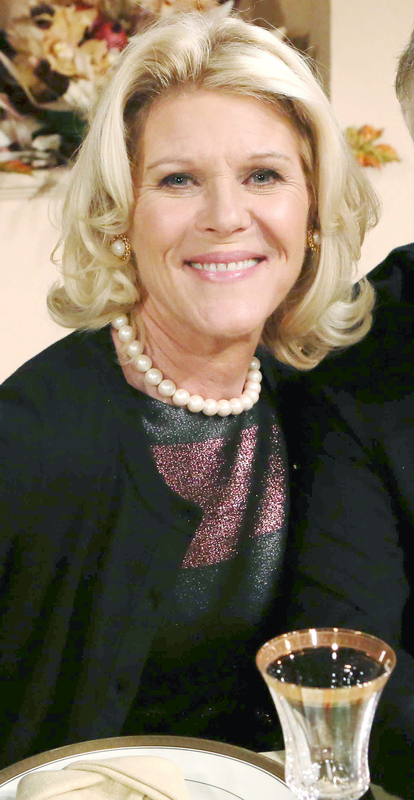 Happy Birthday To Alley Mills!